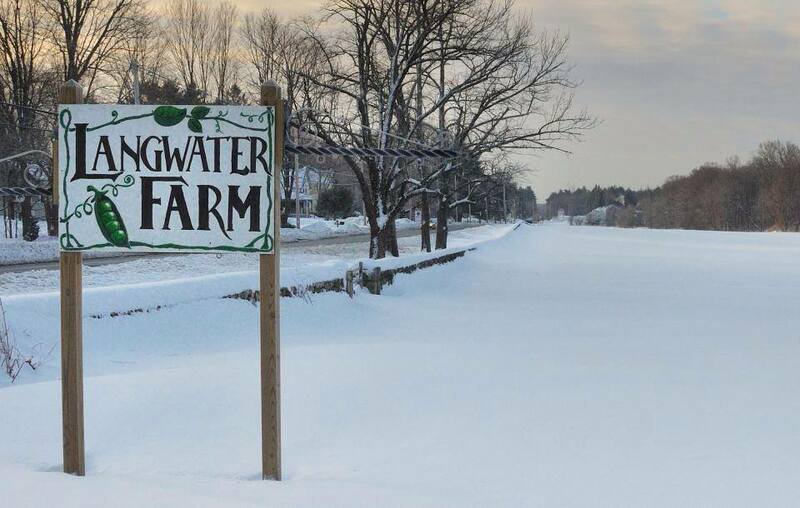 Langwater Farm | We dig organic vegetables! Signing up for Langwater’s Community Supported Agriculture (CSA) shares is simply the best way to enjoy healthy, seasonal, delicious food while supporting your local organic farm. Shop our online store or download our paper form to pay by check. You can also swing by the farmers market to chat with your farmers in person. Full Season CSA (Whole & Half Share options): Enjoy diverse weekly shares of Langwater’s Certified Organic vegetables from May- October (24 weeks)! Your bounty will shift with the seasons from sweet spring Sugar Snap Peas to our award-winning summer Tomatoes, then you’ll feast on a cornucopia of fall crops like Winter Squash and Broccoli. In addition to the full suite of veggies, CSA members who pick up on the farm enjoy pick-your-own organic Strawberries. Pick-ups are at the farm in North Easton, MA. Farmers Market CSA (Brookline, Davis Square, Attleboro): Stop by our tent at our Farmers Markets every week and pick up your veggies! Each week for 24 weeks you’ll get a diverse selection of what’s in season–from sweet spring Spinach to succulent Cherry Tomatoes, flavorful Sweet Corn to savory fall veggies like Carrots and Garlic. The Brookline and Attleboro Market CSAs will have a few pickups at an alternate location (TBA) on weeks when the farmers market isn’t open. Farmstand CSA: Farmstand “debit” cards are redeemable all season long at our Farmstand in North Easton. You choose what veggies you want, when you want them. Plus you can use your card for other locally-grown and locally-made items that we sell, including honey, maple syrup, flowers, gifts, and seasonal items like pumpkins and Christmas trees. You can use your card at the Farmstand anytime we’re open, Tuesdays – Sundays, 10am – 6pm, from May 4th – Dec. 22nd, 2019. Winter CSA: Join us for the sweetest season! Enjoy 8 weeks of seasonal bounty in November & December for $175. Weekly shares include Greens, root vegetables (Carrots, Turnips, Beets), Winter Squash, Potatoes, Onions, Leeks, Broccoli, Cabbages and more. Pick-ups at the farm in North Easton or at the Pawtucket Wintertime Farmers Market. Flower CSA: Bring home beautiful, fragrant flowers for 12 weeks from July through September for $75. Pick ­Your Own mixed bouquet from our flower field each week. Flower CSA shares make great gifts! Questions about how big a share is or what to expect? Check out our FAQ page for lots more detailed info! Come visit us at our winter farmers markets! Our farmstand is closed for the winter. We’ll be back open again in May.